The difference between the relatively straightforward meaning of, “My students are hardworking,” and the flexible meaning of, “My students are ” mirrors a distinction linguists and philosophers of language make between semantic meaning and speaker meaning (Grice 1957, Kripke 1977). The semantic meaning of a sentence can be found by determining the meanings of each of the words in a sentence individually and combining them in the right way, given the rules of syntax. The speaker meaning is, well, what the speaker means in making an utterance. This can be thought of as a question of the use to which the speaker puts a sentence. Speaker meaning can be much more flexible than semantic meaning; it is sensitive to the context in which an utterance is made, as well as the speaker’s tone, gestures, etc. Although there is a straightforward semantic meaning of “My students are hardworking,” I can use even this sentence in a variety of ways—my speaker meaning can vary. When I utter it sarcastically, for instance, I mean something very different from when I utter it sincerely. In the right circumstances, I can use it to claim that my students are superior to someone else’s, or that my students are overly serious. While it’s true that emojis can be used in a variety of ways (that is, they can contribute to speaker meaning), it is not clear that they have well-defined semantic meanings. For this reason, it is unlikely that the semantic meaning of “My students are hardworking,” is the same as that of, “My students are .” Nevertheless, the speaker meaning might be the same. Since synonymy seems to track semantic meaning more closely than speaker meaning, it is probably safe to say that the two are not synonymous. Although we may not be in a position to spell out the semantic meanings of emojis, this does not mean that we cannot learn anything about them. Emojis can be put to use in a variety of ways for which ordinary words are not well suited. 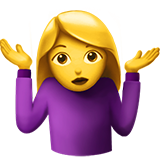 I count four primary uses for emojis, though there are almost certainly more: iconic uses, metaphorical uses, metonymic uses, and emotive uses. If it ever makes sense to talk about the “literal” use of emojis, the iconic use counts as literal. Unlike the other uses of emojis, iconic uses do little to supplement our communicative abilities in text communication. Anything that can be said using iconic uses of emojis can be said just as well (though perhaps less playfully) using ordinary words. Emojis can be used in what I call a “metaphorical” way, especially as visual metaphors. The most common metaphorical uses of emoji are sexual references. Like metaphors in natural languages (Bowdle and Gentner 2005), metaphorical uses of emojis are often creative, appealing to novel combinations of images to call to mind something else (usually something sexual). However, over time, some emojis (such as the eggplant and peach emojis) gain a conventionalized metaphorical meaning. In principle, emojis could be used metaphorically in non-sexual ways, but the sexual visual metaphors are by far the most widespread examples. Perhaps the most common and effective way we use emojis is to communicate emotion. Emojis are so well suited to this task, in fact, that it is common for English speakers to assume the term ‘emoji,’ like ‘emoticon,’ was derived from ‘emotion.’ (In fact, ‘emoji’ comes from the Japanese ‘e,’ meaning picture, and ‘moji,’ meaning character (Evans 2017). ) Unlike the other uses I have outlined, emotive uses of emojis are usually not used in place of words in a sentence. Rather, they are usually either used alone or alongside a sentence to communicate intention or emotion. This fills the role that facial expression, body language, and tone generally play in spoken communication, which is sorely lacking in written, especially digital, communication. In The Emoji Code, linguist Vyvyan Evans (2017) gives a helpful example of how the use of emojis alongside a sentence can change the emotion conveyed, and what counts as an appropriate response. The sentence, “I hit my head on the cupboard,” followed by a crying emoji indicates that the sender is in pain, and perhaps embarrassed, while using a cry-laughing emoji instead indicates that the sender is not badly hurt and is laughing at their clumsiness. This communicates not only the attitude of the sender, but also gives the receiver a clue about whether they ought to be worried about the sender. There are a few linguistic expressions that can be replaced with emotive applications of emojis. These expressions, such as ‘Yay,’ ‘Oh my!’ and ‘Awww,” are themselves used to communicate emotion. Emojis offer an alternative way of expressing these emotions that is often more effective. Although “Yay” is a perfectly good way to express excitement for a friend, it does not give the impression that you’re dancing with excitement like this text. Of course, the distinctions between these categories are not always clear-cut. Metaphorical and metonymic uses of emojis often have some emotive effects as well—although the red heart emoji is often used directly in place of ‘love,’ it may do a better job evoking a loving sentiment than a use of the word. Just as emotive uses of emojis are often used to clarify the tone we wish to convey with a text, the use of an emoji within a texted sentence may ensure that the sender is interpreted as feeling just what they are saying. The text “I love you,” lacks much tone on its own. A receiver may wonder and worry whether the sender was truly feeling love, or if they simply felt they had to say the words. “I you,” on the other hand, is a way of expressing that love. And of course, we can use different emojis in different ways in the same text. Although the ant emoji can sometimes be used in place of ‘hardworking,’ there are many, many contexts in which ‘hardworking’ cannot be used in place of the ant emoji. It cannot replace an iconic use of the ant emoji, or a metonymic use of the ant emoji to mean ‘small,’ and most of all, it cannot be used to express warm feelings, as we all know the ant emoji can. Bowdle, Brian and Dedre Gentner. 2005. “The Career of Metaphor.” Psychological Review 112(1): 193-216. Evans, Vyvyan. 2017. The Emoji Code. New York: Picador. Grice, Paul. 1957. “Meaning.” The Philosophical Review 66(3): 377-388. Kripke, Saul. 1977. “Speaker’s Reference and Semantic Reference.” In French, Peter, Theodore Uehling, and Howard Wettstein, eds. Studies in the Philosophy of Language. University of Minnesota Press: 255-296. Gretchen Ellefson is a PhD candidate at Northwestern University. She works at the intersection of philosophy of language, social philosophy, and feminist philosophy, investigating how communication works in non-ideal circumstances. She suspects that social phenomena like power and privilege can influence communication, and is working on identifying how the tools from linguistics and philosophy of language can help us understand these influences.